During the celebrations of the 70th anniversary of its Italian member organisation, Ludger Ramme, President of CEC European Managers, underlined the importance of CIDA in the history of CEC and its visionary contribution to the discussion on the future of Europe. It is s a great honor for me to be here, in this magnificent room, to celebrate with you and with the many who follow us via Internet and on social media this great anniversary of our colleagues and friends from CIDA. As the President of CEC European Managers, the European umbrella organization that CIDA contributed to create more than 60 years ago, my words of today are first and foremost words of gratefulness, respect and admiration. CIDA is a strong, respected and valued actor in the social and labour sector in Italy. For the past 70 years it has contributed to the Italian public debate giving voice to those dirigenti who have helped to shape that remarkable process of economic development. It has made Italy one of the powerful industrial and economic powers of Europe. The participation to this celebration of so many prominent representatives of the Italian political, economic and labour world is the best sign of how strongly the role of CIDA as social and institutional partner is felt in the Italian society. Together with their French and German colleagues, Italian managers had the capacity and the vision to understand that there could be only one way to avoid that tensions between countries could again escalate into a war. That one way was cooperation and mutual trust not only at an intergovernmental level, but also at a societal one. When these managers founded the CIC, the Confederation Internationale des Cadres, “ancestor” of the CEC, in 1951, our predecessors understood something so very innovative for that time but also so dangerously at risk nowadays: discussion! Discussion with the aim of finding mutually satisfactory solutions, within the limits of a structured, organized framework. And this should become the new way of dealing with international relations at all levels. 65 years later we all cannot be but thankful to those men and women who had that intuition and invested so much energy and so many resources to accompany it throughout the years. CIDA has always been a loyal and committed Member of CEC. Over the years, many of its Presidents have served at European level too, contributing to the many successes that our European confederation has achieved over the years. In this respect, let me briefly remind the times I have spent engaging at CEC under the presidency of Dott. Maurizio Angelo, who from 1996 until 2006 has been leading the activities that led to the official recognition of CEC as a European social partner organization. The impulsion of CIDA in CEC’s activities, as I said, has been remarkable in the past, and will continue to be so in the future. The Manifesto we are here to present today is a proof of this commitment, this capacity of CIDA to bring issues for reflection on the European scene. A capacity and a commitment of which I and the whole association I represent are truly grateful. As European umbrella organizations, we need the constant supply of ideas, sensibilities, opinions and indications from our National members, in the awareness that only through pooling our forces, competences and opinions can we make a real difference and get our voice heard. Like our founding fathers thought us to do. The Manifesto we have presented today is the outcome of a reflection, started by CIDA, on what are the values and principles in which managers of our days recognize themselves, and how on this basis can managers who want to contribute to the continuous development of the society they live in actually make use of them. We as CEC have contributed to the “fact-checking” of this Manifesto, asking to our individual affiliates throughout Europe to confirm whether these principles correspond with those they consider relevant for their activities. Now, we will launch an internal discussion on how to make use of the conclusions and suggestions that arise from the Manifesto to reinforce our visibility on the European scenario through a strong lobbying campaign on MEPs and other relevant European stakeholders. The ultimate goal of this process shall be to reaffirm the autonomy and specificity of our category and demonstrate that thanks to their vision, competences and capacity to anticipate managers can be a valid support to defining the policy responses that we need to face the challenges of tomorrow. It is our precise duty, as responsible members of the societies we live in, to make sure that we can provide all our expertise and skills to help public decision makers to make the right choices and take the good decisions. I particularly appreciated in one of the video messages we have seen before the indication of our people, managers, as a bridge between the ordinary workforce and the employers. 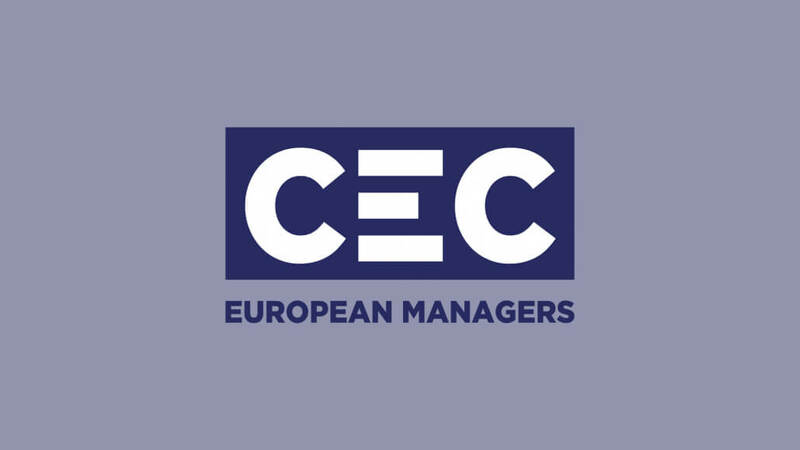 We at CEC European Managers believe very much in this role, in this capacity of mediating between two different and sometimes opposite worlds in the interest of the wider European economic and social community. But in all this process one thing is most important: we as managers must stand for our own convictions and our values. We all must be fearlessly protect our democratic, social and European heritage. We must be more visible and not hide away. We have to merit to be called leaders. I have now reached the end of my intervention. Let me briefly thank you for your presence and attention, and for the very enriching experience of this wonderful celebration. Let me also thank once again our good friends of CIDA, its current President, Dott. Giorgio Ambrogioni, and the whole staff for the perfect organization of this event.